Growing up in rural Northern Ontario, Kent Rathwell decided his time could be better spent on Sunday mornings. Instead of falling asleep in church, Rathwell convinced his mother to let him mow neighbours’ lawns various rewards. That same sense of making the best use of his time still drives the Saskatoon resident many credit with helping to save the electric vehicle. Rathwell concedes that calling him a Saskatoon resident may be a bit generous since he spends so much time on the road, despite owning a luxurious riverside home on a half-acre of land on Saskatchewan Crescent. During an interview there earlier this month, Rathwell pauses and thinks when asked his age. His eyes widen as he realizes he’s 47 with so much more to accomplish. “The problem there is that there’s so many things to do and there’s so little time,” he says. Few would contest the impressive nature of Rathwell’s accomplishments so far. 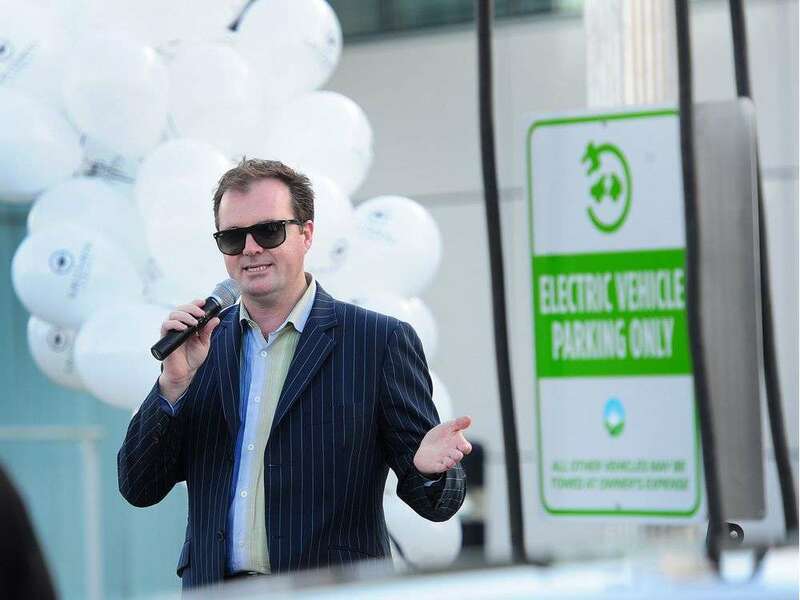 Rathwell and his Sun Country Highway remain best known for establishing the world’s longest electric vehicle charging network in 2012, running the 10,125-kilometre length of the Trans-Canada Highway. 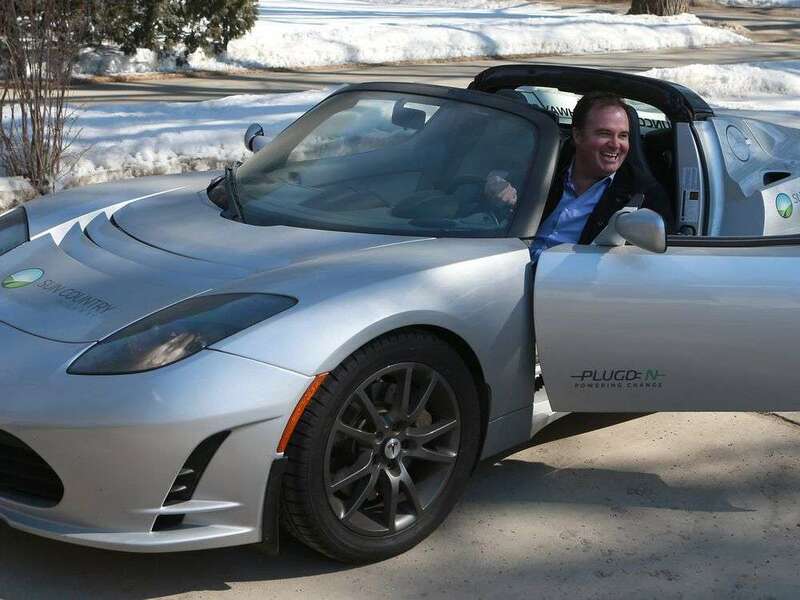 Rathwell drove a Tesla Roadster sports car across Canada in November and December five years ago to prove the viability of the electric vehicle in one of the planet’s harshest climates. The trip from St. John’s N.L., to Victoria, B.C. was completed in 35 days, but only took that long because of stops to accommodate media coverage. The normal winter barriers to travel in Canada proved more of a hindrance than charging an electric vehicle, he says. The exuberant Rathwell sounds like a man who wants to change the world, but he insists that’s beyond him. That philosophy helped create the electric charging network, Rathwell explains. Paying to install charging stations across the country would have been easier than the route he chose — convincing others to pay for the various stations and their installation. Rathwell acknowledges that in many communities, people or businesses may have been mocked for spending money on what seemed like a bizarre venture, especially in towns where there were no electric vehicles. He hopes his cross-country journey and the publicity it received helped vindicate those who took part. Sun Country Highway grew out of Rathwell’s wild bird seed company, Sun Country Farms, which he started with his wife, Joni, in 2007. Rathwell wanted to make Sun Country Farms environmentally sustainable, the first such facility of its kind in Canada. The wind-powered facility in Langham produces enough bio-oil to power the farm machinery and vehicles used to transport the seed. The company also produces bird feeders manufactured from recycled milk jugs. 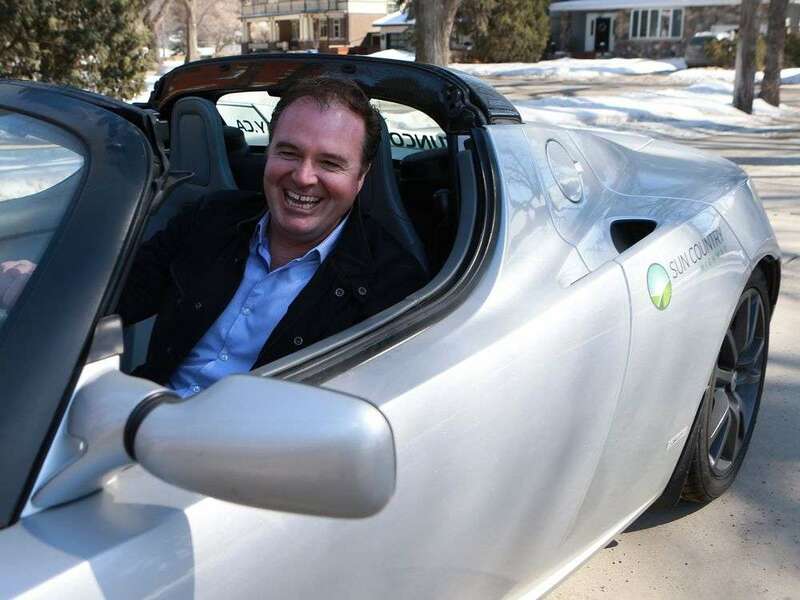 But Rathwell also wanted to travel from his home in Saskatoon to Langham in an electric vehicle and to transport his seed to retail outlets using sustainable energy. The challenge, he recalls, was a lack of charging stations. In 2011, Rathwell worked with California-based Clipper Creek to build a more effective charging station. Since the Longest Greenest Highway Project in 2012, Sun Country has partnered with companies like Peavey Mart, Best Western, Petro-Canada and Ikea to install charging stations. Rathwell has also partnered with Tesla to install thousands of charging stations across North America, drastically changing the landscape for the electric vehicle. Tesla did not respond to messages seeking comment on Rathwell. On a chilly April morning, Rathwell backs his slick, silver Roadster out of his garage. Rathwell’s gregarious nature and cheery disposition belie the motivation for his work: A looming sense of doom. While studying civil engineering in Hamilton, Ont., he recalls supervising work to install a sanitary sewer system. Rathwell noticed key problems with the installation that needed to be fixed. The prospect of the project proceeding without the proper corrections and the potential cost of fixing it haunted him. “I had an epiphany one night and it was, ‘Oh my gosh, everything we’re doing in the modern world is unsustainable,’ ” he recalls. That notion of gloom extended to his home province of Ontario, even though it was once considered Canada’s economic engine. “I knew Ontario was going to be a have-not province. I knew that going back 20 years ago. We weren’t making the right decisions,” he says. Rathwell turned his attention west to Saskatchewan, which he considered the province with the most potential, but also the most difficult to turn around. 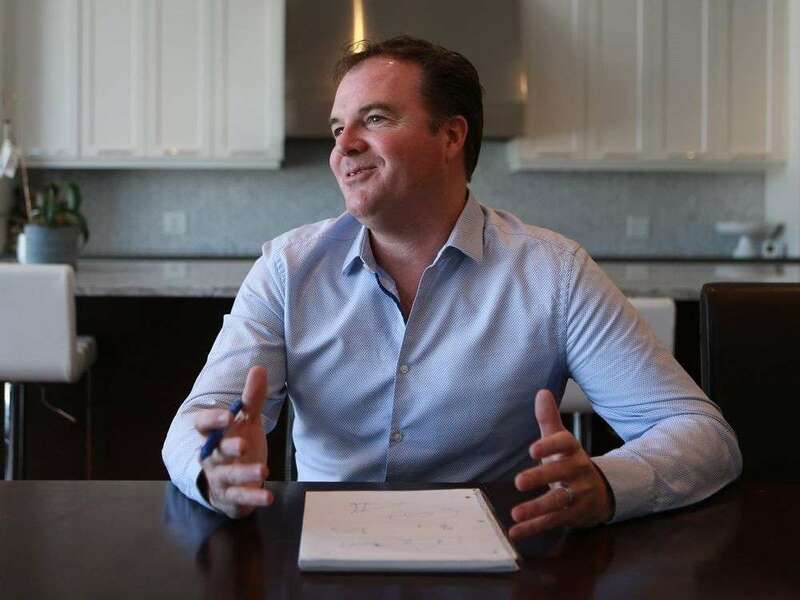 He regards the residents of his new home province as virtually the “richest people per capita in the world.” He cites not just the obvious natural resources like oil, potash and agriculture, but also mostly untapped wind and solar power potential. The difficulty, he remembers, lay more in the province’s reputation than any other factor. People left Saskatchewan when they finished school and then spoke poorly of it after they left. “Grown men would tear up when their kids were graduating high school,” he recalls of the early years of the 21st century in Saskatchewan. 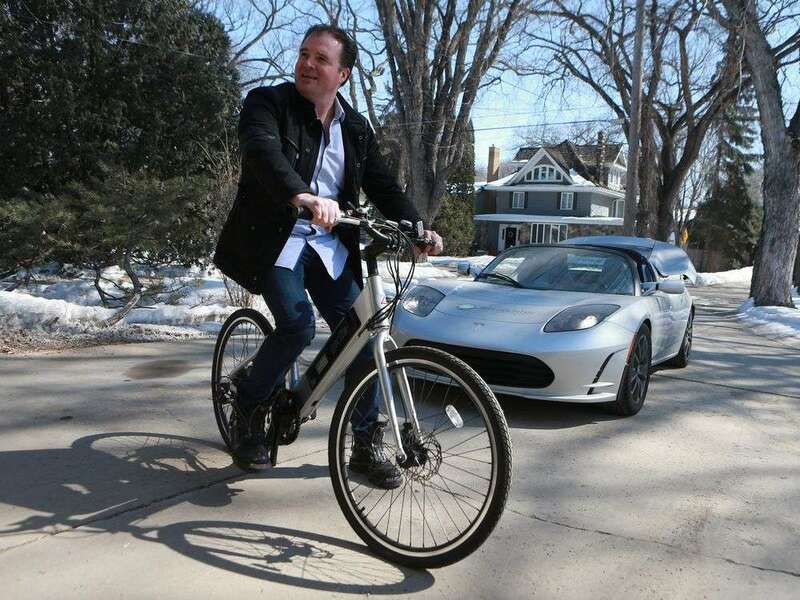 He compares people’s skepticism about the province with the attitude toward electric vehicles. At first, he would pay for investors to visit Saskatchewan, he says, covering their flights and expenses. 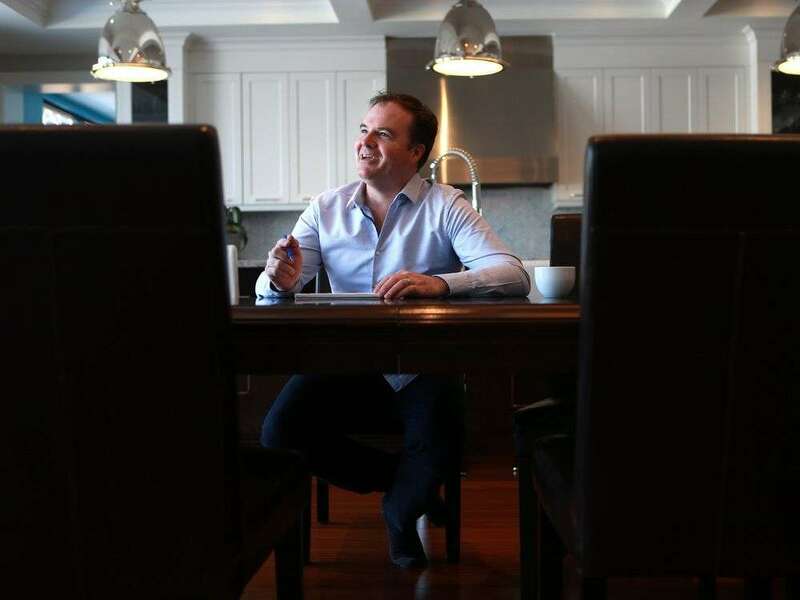 He found the province’s negative reputation in Canada to be an overwhelming obstacle, so he turned to international investors. “I even went to India because it was so hard to get Canadians to move here,” he says. Eventually, Rathwell decided to move to the province. He recalls his now-deceased mother asking whether he thought he could really make a difference. As with many questions, like his net worth, Rathwell is either unsure of the answer or does not want to share the year he first moved to Saskatchewan. Yet, he brings his own notepad to the interview to help illustrate his ideas. A father of two, Rathwell leaves the two-and-a-half-hour interview several times to interact with his son, Xander. Later, he sends an email to try to ensure he effectively communicated certain ideas. Rathwell says he is fine if people see him living in a desirable home if it sends the message that sustainability can be lucrative. The 5,473-square-foot home is assessed at $2.54 million. 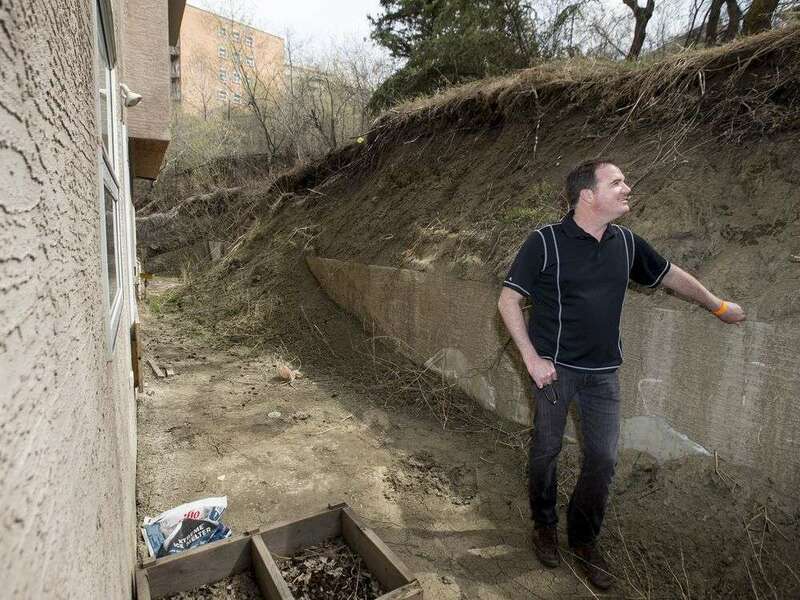 He moved from another prime riverfront location along Saskatchewan Crescent due to the threat of slope failure, but still owns that house, which has an assessed value of $1.17 million. That address is still listed online as the corporate office for Sun Country Highway. His new home is powered by sustainable electricity, he says. In addition to the Roadster, Rathwell’s garage houses an electric SUV and two electric bicycles. He thinks electric bicycles could be a game-changer and insists his interviewer take one for a spin on the icy road. “It’s great that he has the drive and the passion to take that initiative in Saskatchewan,” says Megan Van Buskirk, co-ordinator of the Saskatoon CarShare Co-operative. Sun Country Highway helped establish Canada’s first solar-powered electric car share vehicle, which made its debut last month. The Chevrolet Spark is based in the City Park neighbourhood. The co-operative has increased its membership to 70 and expects to add another electric vehicle soon, she says. Rathwell might seem out of place as a sustainable energy advocate in a province with a government that has staked its future on defending fossil fuels. But it’s not just about the environment for Rathwell. His companies follow a philosophy to ensure three types of sustainability: Environmental, economic and social. “If it doesn’t have these three elements for consumers, we don’t do it,” Rathwell says. Sustainable energy makes economic sense, too, he notes. It might surprise some to learn that since 2008 Rathwell has donated $16,740 to the federal Conservative Party, not parties more traditionally associated with sustainable energy like the NDP or the Green Party. He rejects the expectation of leadership from political parties. He thinks if people’s behaviour changes, say, to embrace sustainable energy, the politicians will follow, he says. And he’s branching out beyond energy and birdseed, too, with Sun Country Organics, which is headquartered in the Manitoba community of Deloraine, near the U.S. border. Rathwell is trying to disrupt the fertilizer industry with a new organic product produced by cooking fresh manure at temperatures higher than 340 C (650 F). The high heat destroys contaminants, pathogens and weed seeds, but preserves organic matter and nutrients. The key is that it’s also cheaper than traditional fertilizer. Marketing information touts a 20-pound bag of the product as the equivalent of 200 pounds of manure. Sun Country Organics is also marketing a lawn seed that promises a 75 per cent reduction in both watering and mowing due to deeper roots. Rathwell chuckles when it’s pointed out to him that a reduction in lawn mowing would have torpedoed his Sunday morning activity while growing up in Ontario. On a more serious note, he imagines a drastic reduction in the use of drinking water for irrigating grass and the possibility of city employees shifting from maintaining grass to other endeavours. As for the near future, Rathwell says he’s getting ready for a big announcement later this year, but won’t offer a hint on what it’s about. It seems reasonable to predict his next project will take his sustainability revolution one step further.